PUCHONG (Sept 14): Hot on the heels of its very successful Andira Park phase 1 launch, TAHPS Group Bhd is launching phase 2 on Sept 16 and 17. 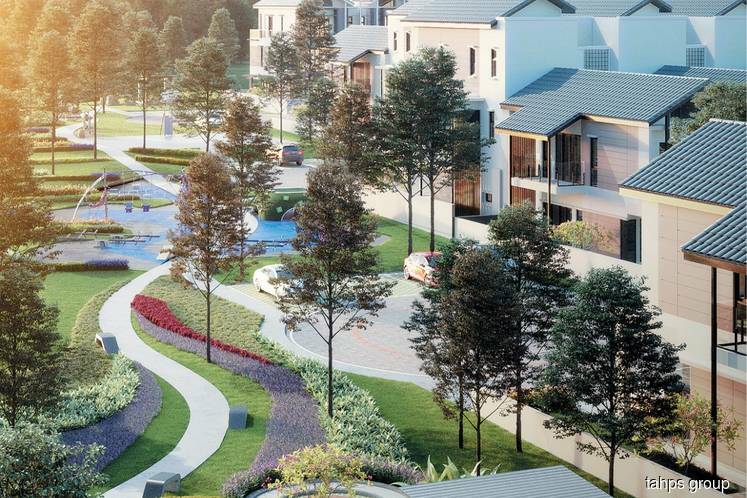 Located on an 8.33-acre freehold site at the developer’s township in Bukit Puchong, the gated-and-guarded landed residential development has a gross development value of some RM100 million. Phase 1, which was launched on Aug 19 and comprises 38 2-storey and 38 3-storey link villas, recorded full take-up the very next day. Interested buyers had queued up at the sales gallery for the launch since 2am on the day of the launch. Built-ups for the 2- and 3-storey link villas in phase 1 are 1,583 sq ft and 1,789 sq ft, respectively. The selling price starts from RM686,000. The upcoming Andira Park phase 2 launch will consist of 64 units of 2- and 3-storey link villas with similar built-up areas as those in phase 1. There will also be five premier 3-storey terraced homes with built-up areas starting from 2,347 sq ft. The selling price starts from RM668,000. “The feedback we received from purchasers for phase 1 was overwhelming as seen from the sales transacted. “Some of the purchasers were not able to secure a unit in phase 1; we have a long list of purchasers who have registered their interest for phase 2,” said TAHPS Group CEO Eugene Khoo. “Given the feedback from purchasers on phase 1, we expect phase 2 to be a success as well. When we launched phase 1 two weeks ago, our purchasers started queuing up from 2am,” he told TheEdgeProperty.com. He added that site-clearing for the project has commenced and the entire project is expected to be completed by August 2019. This story first appeared in TheEdgeProperty.com pullout on Sept 8, 2017. Download TheEdgeProperty.com pullout here for free.